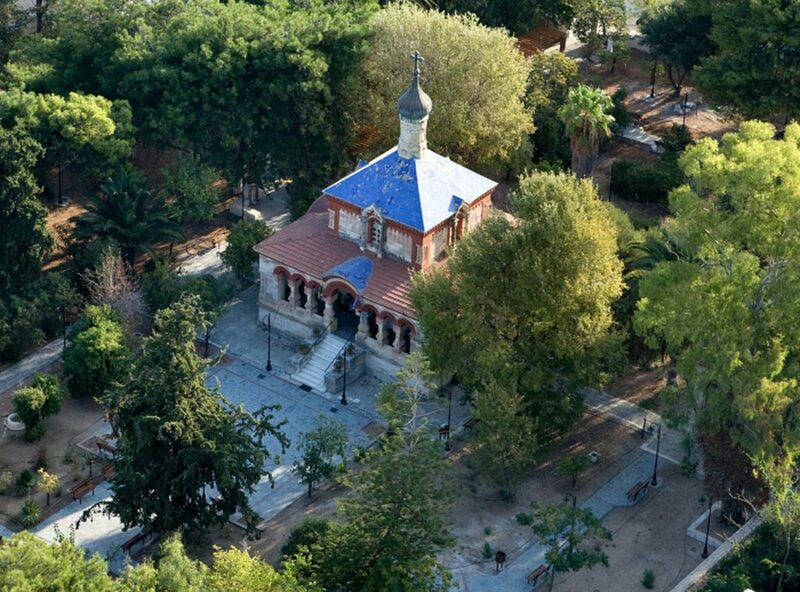 The Church of Agia Magdalini at Halepa, in Chania, was built across from the Palace in 1901, when the High Commissioner of Crete, Prince George, offered ten thousand rubles and the blueprints needed for the construction of a church dedicated to Mary Magdalene. The road where the church is situated is nowadays called Skra Street. The church was built to commemorate Mary’s visit to Chania – the sister of Prince George and wife of Grand Duke George of Russia. The temple of Agia Magdalini has its own particular architectural style, with a wide angled hall, ending in a decorative dome of Russian form. The temple is surrounded by an arcade. 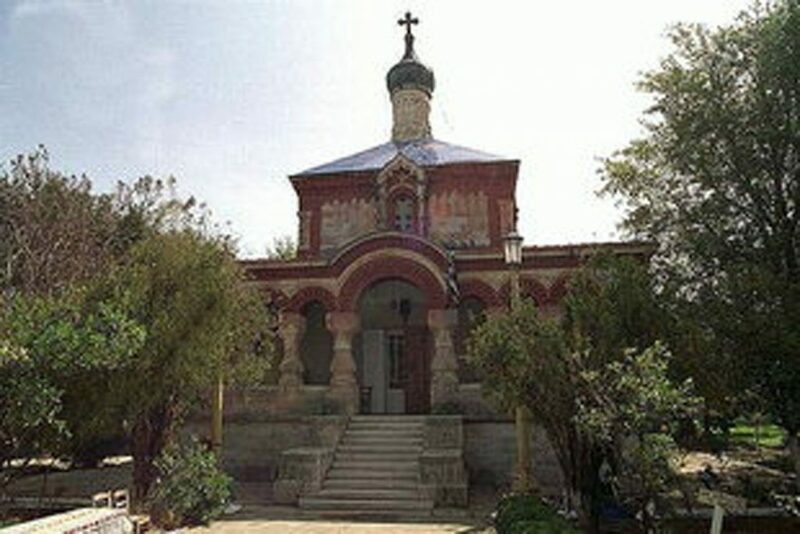 On January 6, 1903 the Church of Agia Magdalini was dedicated in a very narrow circle, with the presence of Queen Olga of Greece, of Bishop Eugene of Crete and Prince George. The Prince, following his departure from Crete in May 1909, made a donation to the Church of Agia Magdalini, in memory of the days he spent in Crete.